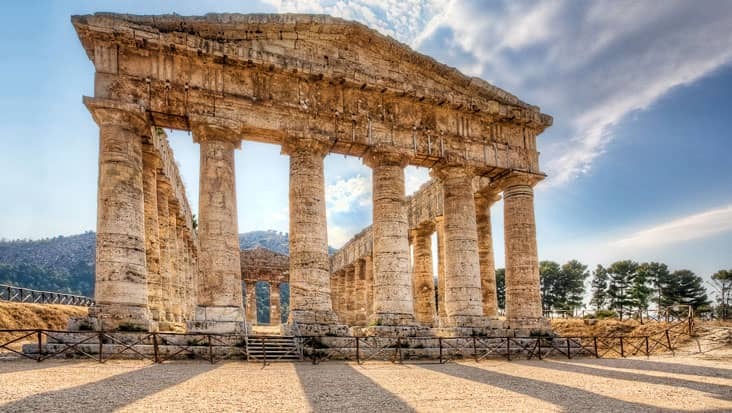 Examine the Rich History of Italy by Touring to Interesting Sites in Powerful Mercedes Vehicles during Palermo to Palermo, Monreale and Mondello Shore Excursion. The southern regions of Italy are quite alluring. You would admire the area of Palermo which is the capital of Sicily. This city is known for its medieval structures that also involve a royal palace. One should access a road travel so as to learn in-depth about Palermo. Benvenuto is a popular chauffeur service in Italy. We offer luxury sedans & minivans so that the customers can travel in total comfort. Palermo to Palermo, Monreale and Mondello Shore Excursion will help you examine the cultural richness of this land. You would be toured to a number of heritage sites which are attractive and inspiring. The journey would last for nine hours which also involves dining and resting period. 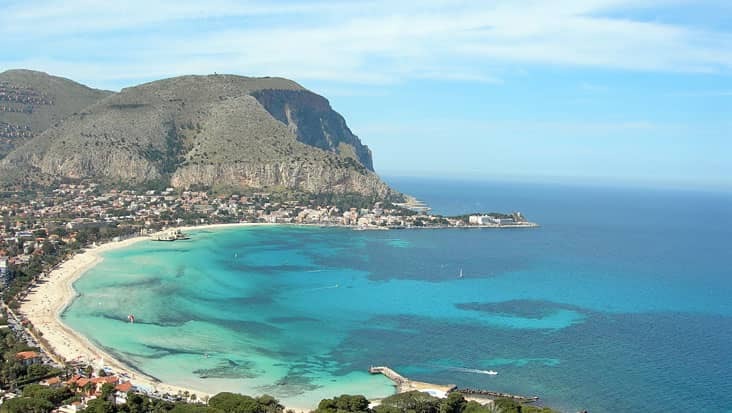 The travelers will first tour the marvelous region of Palermo. This region is tagged as an elegant place since it has a peaceful setup. The old town is full of narrow streets and monuments that were built in the 9th Century. 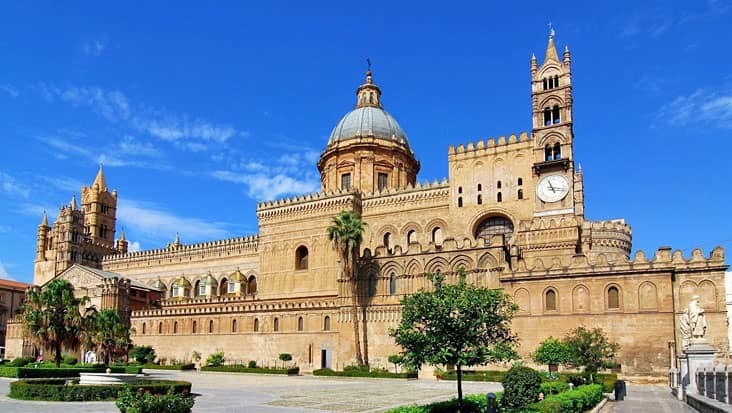 Do not miss a chance to visit the Baroque and Norman monuments present in Palermo. As you will travel north, you would reach the Cathedral which is known as the power source for the city. Our trip will let you observe the Royal tombs which are quite fascinating. Convent of the Capuccini is another famous landmark in this area which attracts a large tourist crowd. You would be lead to Monreale which is 20 minutes from Palermo. 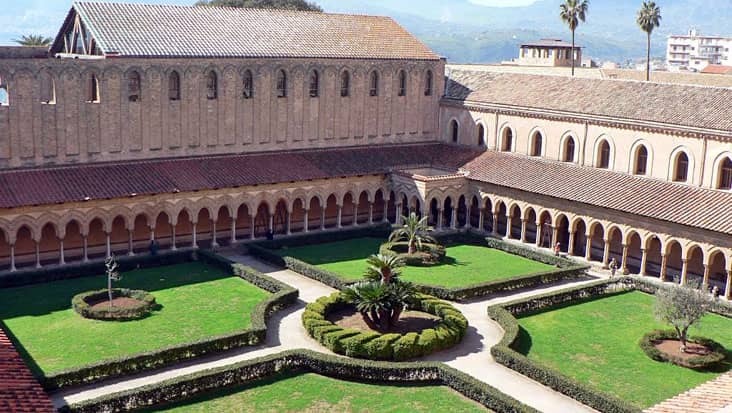 The Norman Duomo is one of the most celebrated masterpieces from the Medieval Era which is present in this region. This ride will proceed to Mount Pellegrino from where you can enjoy the soothing view of the bay of Mondello. The restaurants in this area are very popular. During Palermo to Monreale, Palermo and Mondello Shore Excursion you need to pay an entrance fee for visiting specific sites. Moreover, if you hire a guide then that cost will also be paid differently. 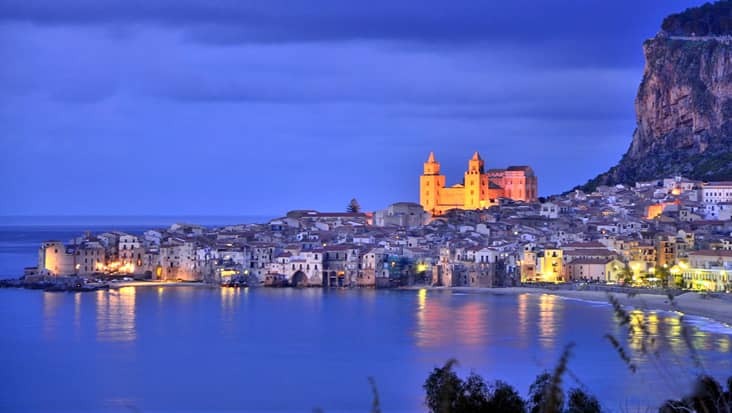 For Palermo to Mondello, Monreale and Palermo Shore Excursion you can select a sedan, minivan or even a minibus from Benvenuto. These vehicles are fully loaded with useful amenities for making your trip relaxed and memorable. 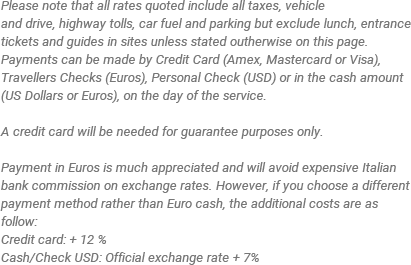 The total tour expense includes fuel, parking and toll taxes. Comfortable walking shoes are suggested for this tour. Make sure your cameras are charged or load up on batteries! Available: Everyday of the year.